Hotel Chocolat are catering for all this Easter. With prices ranging from £1.95 (for a chocolate lolly) up to £75, you can treat the whole family to something delicious this Easter. What’s more, Hotel Chocolat work with dietician and nutritionist, Dalia Maori, to ensure they have a product offering that is suitable to those who have dietary and lifestyle requirements (me included) so that we can all enjoy the best quality chocolate available suitable to our needs and wants (hallelujah!). 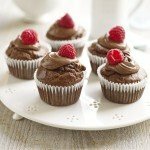 They’re able to offer dairy free, vegan, low in sugar, low carb, chocolate for those that follow a paleo lifestyle, sports performance (pre and post exercise), chocolate suitable for vegetarians, gluten restricted diets/coeliacs and chocolate suitable for diabetics- just look out for their labels, if you’d like to find out more, take a look at their dietary information. They most recently launched their milk-free ‘milk’ chocolate range, this is 56% pure cocoa, combined with Sicilian almond creaminess and contains just 24% sugar- a small amount of this high cocoa, low sugar combo is all you need satisfy your chocolate cravings. As we know almonds are very good for us so I’m sure you’ll agree, this is a fantastic non dairy alternative! The Supermilk Facet Egg, £18- This Supermilk, jewelled designed egg is made from 65% cocoa milk chocolate, giving you all the benefits of dark chocolate with the mellow indulgence of milk (with much less sugar!). We’ve got a chance for you to win one- head to the competition page to enter now! Big City Bunny, £7.50- Danny is the bunny we all want in our lives; he’s sweet, dapper and certainly won’t answer back! Cast in 40% milk chocolate with dark and milk chocolate details and presented in a transparent box with gold type. City Bunnies, £5.50– the perfect sharing gift for those that love milk and white chocolate. These smartly dressed bunnies are deep filled with a mellow truffle. All Our Eggs in One Basket, £50- the ultimate gift for the whole family, there really is something for everyone and is fantastic value for money. You’ll receive half an Ostrich eggshell (40% chocolate full of crispy puffed rice and crunchy cookies), half an extra thick caramel-chocolate eggshell, half an extra thick dark chocolate eggshell, a Supermilk Facet egg, a milk chocolate goose egg, a milk chocolate scrambled egg and a selection of salted caramel egglets. Rocky Road to Carmel, extra thick egg, £27- with two sides to the eggshell you’ll receive one in 40% milk chocolate with cookies, puffed rice and chocolate chunks and the other in caramel milk chocolate. The egg is filled with mellow chocolates. Delicious! Holland and Barrett also have a selection tailored to those who have dietary and lifestyle considerations. They’ve hand selected an exciting range of earth and body friendly Easter treats so whether you are intolerant to dairy, avoiding sugar or trying to cut down your carbon footprint – there is something for you. Montezuma’s like to be innovative with their packaging so they have created the Eco Egg which is made of just two parts. The first is a sturdy bio-degradable paper outer shell with an eye-catching floral sleeve and the second is colourful foil wrapper. We think it’s probably the most eco friendly Easter egg around! The egg comes in two tasty flavour combinations, Dark Chocolate with Cocoa Nibs and Milk Chocolate with Butterscotch pieces. They’re currently available online for £7.50 each and on a buy one get one half price offer! Their Choices substitute to white chocolate is the perfect alternative Easter hunt prize for those with allergies. The egg was shortlisted in the Freefrom Food Awards because of its amazing taste even without containing dairy, gluten, wheat or egg. It is made from sugar, cocoa butter and non dairy ingredients. Just £2.79 it’s exceptional value for a free-from and is also on the buy one get one half price offer. In the Choices collection, you’ve also got the pocket sized milk and white chocolate bunny bars which are a deliciously creamy alternative to chocolate. Suitable for vegetarians and vegans, the milk chocolate alternatives are made from cocoa beans, sugar and non dairy ingredients. They’ve also got a yummy looking caramel flavoured egg which is free from dairy, gluten and egg and includes chocolate truffles.